We are in the process of putting together the final draft of a set of technical assessment forms that we will be using for client's job candidates. The forms are in Excel. They were created in Excel on Windows. When we create forms in Excel, we always set the column width to 1 for enough columns to hit the .25" margins across the page. We modify it accordingly for forms that need to have .5" margins. This gives us the flexibility to create forms with fields that are not restricted in their placement because of one big column. If the form is for print only, we don't bother merging the respective fields. If the form is for live data input via a laptop, then the respective cells will be merged and the range labeled. When we open this particular form in Excel:Mac, we end up with the form being 4 columns (4 points) too wide. The margins and page size are identical on both the Mac and Windows PC. But, something within the Mac version of Excel says the number of columns is too many to fit on the page. To make it work in Excel:Mac, we have to scale the "Adjust to" 94% in the page setup, and define a page break between the two pages. They sit side by side, so the page break goes on the left boundary column on the page that sits to the right. This was definitely unexpected, as we have been working with Word documents back and forth between the Mac and Windows platforms with no issues so far other than constraining Office 2007 to save in the legacy non-XML format. Back in my University days, I was chided by those around me for sticking to the PCs, then 286/386, and WordPerfect to write my APA based papers. It was tough to get WordPerfect 5.1 for DOS to follow those strict rules! Finally, I took a risk and started using the Macs that had Word on them. I don't remember what model they were. All I remember was the fact that they had no buttons anywhere to get my floppy out. They were rectangular with an integrated monitor. Why shades of my University experiences on Macs? There were two separate occasions where a Mac ate my floppy. Both times happened where the paper was due within a day or so, and I was too inexperienced with computers to know about hard copy or backups. Both times the Help department would do practically nothing for me. And, both times I ended up having to be at the lab doors in the morning to call the help desk to get down there and help me get my disk. Last night reminded me about those experiences in a very blunt and not-so friendly way. I am not sure what I did, or did not do, but at some point after about 3-4 hours of working on the Tech Assessment publication, when I Restored (brought up from being minimized) the document I was working it was back to its original state before I had began working on it 3-4 hours earlier. I went on and checked the other documents as well, and they were back to their original state when I started with them too. In this case, we have an InDesign book that is comprised of six or seven separate InDesign documents. Only the document currently being worked on is showing on the screen in windowed form. The others are all minimized and showing in the Dock. Using either the Window menu option, or by clicking on the open document icon in the Dock was how I was toggling back and forth between the documents. So, here I am after 3-4 hours of having setup the document structures, table of contents and its formatting, page numbering, and the like and the documents were essentially empty. All of them. Again, I am not sure what I did or did not do. But, something happened. 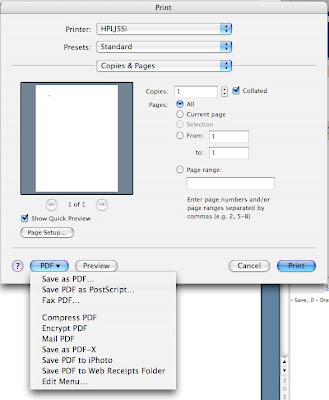 There is no "Autosave" feature in InDesign that can be seen. 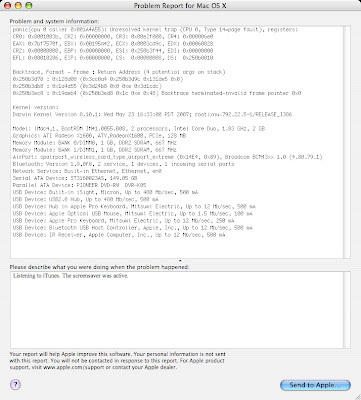 There is an "AutoRecovery" setting for a folder on the Mac, but they did not yield anything. 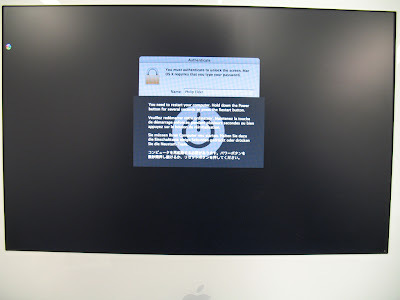 So, an old lesson learned: Hit that "Save" button frequently while working on the iMac. Much of the time was spent struggling with the formatting, so getting things back to where they were took a third of the time, but it was still painful none the less. The network location for the data has VSS enabled, but very infrequently on the weekends as we tend not to be working! This is our method for setting up a shared calendar, contacts list, task list, etc. at the root of the Exchange Public Folders. 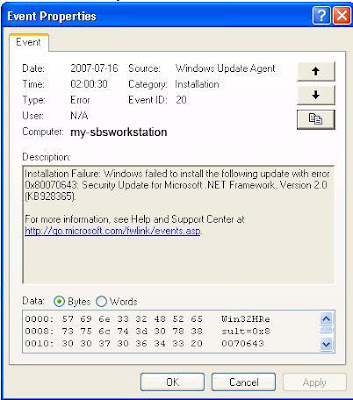 Start your web browser on any workstation or the SBS server. Name it and select Appointment Items under the "This folder contains:"
We do this because adding the folder via Exchange Management does not give us the ability to share any content. It is strictly a storage folder. Log onto the SBS server as domain admin. 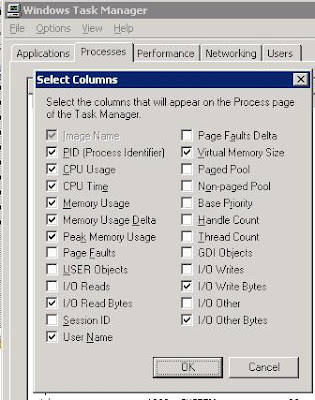 Put a tick beside both "Display ...."
Close the Server Management Console. Right Click on the above created folder and click on Properties. Click the Limits tab if you want to set limits to the folder. Click the Client permissions button. 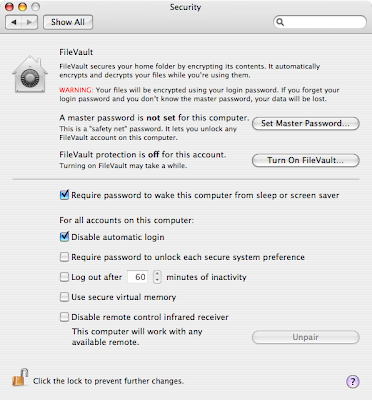 Add and set permissions for those users who need access to this folder. Now we continue on to configure Outlook. Click on the Folders View button. Navigate to Public Folders-->All Public Folders. Right click on the folder created above, and "Add to Favorites". Name the Favorite and click ADD. Click on the Calendar button in Outlook. You will now see the newly added calendar under "Other Calendars" in Outlook. The user will be able to click on it and work with their own calendar and the shared calendar side by side. Permissions on the folder can be quite granular. Be very careful about giving people Delete permissions on ALL items other than their own. Only a couple of key people who understand the process should have that permission. It is also important to let the users know that updates to the shared calendar will not necessarily be reflected at the other workstations that are connected to it right away. It sometimes takes a bit of time before updates are shown across the organization. This process is essentially the same for all types of Exchange Public Folders shared items. For larger organizations, adding folders at the root may make sense for organizing their content. We just received a Bluetooth wireless Mighty Mouse to replace the rather tired wired Mighty Mouse that came with this iMac. Wow, what a nice feel to the new wireless Mighty Mouse. The Mighty Mouse in general has a really nice shape. It fits very well in the hands. The batteries are sitting about 40/60 within the wireless mouse with the bias towards the rear of the mouse. This gives the mouse a very firm and precise feel to it. It is seemingly well balanced in its action and feel. The really neat thing about it was its install. The iMac has a Bluetooth radio built into it. 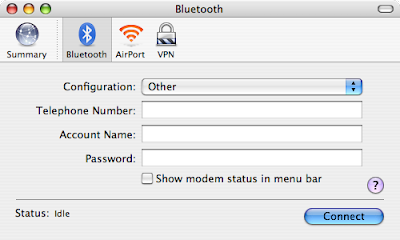 The install was a number of clicks to start the device detection in the Bluetooth manager, pair the mouse with the iMac, and voila! The install is done. Simple. No drivers to muck around with. It is definitely a recommended upgrade for anyone looking to replace their current wired Mighty Mouse. Intel Q6600 2.4 GHz Core 2 Quad CPU. Sapphire ATI X1650 Pro PCI-E 512 MB video. The system has the newest ATI Catalyst driver installed. We ran the Windows System Assessment Tool to establish the Windows Vista video performance for the X1650 Pro. 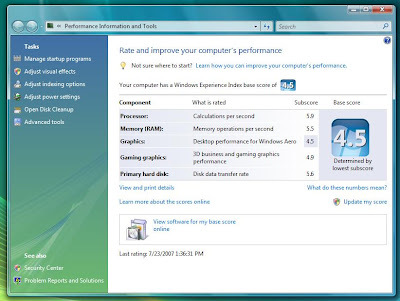 The Desktop performance for Windows Aero for this video card scored a very respectable 4.5 and a 3D business and gaming graphics performance score of 4.9. This is a pretty good step up from the ATI X1550 Aero performance score of 3.4 and a 3.8 for 3D business and gaming graphics performance. It is looking more and more like the entry level video cards available from ATI are more than capable of running the Aero Glass among other demanding 3D requirements. The Sapphire X1650 Pro PCI-E 512 MB video card is now our de facto choice for our corporate systems. It as very good value for the money. We purchased our Office 2004 for Mac via Open Value licensing. That means that we will receive the new Office 2008 for Mac when it is released. Here are some screen shots of the new Office: tuaw.caom - The Unofficial Apple Weblog: Office 2008 for the Mac screenshots. Mac Mojo: The Office for Mac Team Blog. Keep up with what's happening on the Office for Mac front. Posts to the blog should get more frequent as the product gets closer RTM. Vista SA - MS Desktop Optimization Pack for SA Just Arrived! I am pretty excited! One of our Windows Vista Software Assurance media package just arrived. The Administrator's Pack Pak from Winternals.com (forwards on to an MS site) is included in the the Desktop Optimization Pack for SA benefits. The Admin Pack Pak from Winternals was about $1,200US, if I recall correctly, to purchase before Microsoft acquired Winternals in July of 2006. Now, it is less than $25 per year per Vista workstation covered by Software Assurance. Not only that, there is a huge bundle of other utilities, tools, and management capabilities included as well. Microsoft has definitely made Software Assurance for Windows Vista a very attractive add-on with this new SA bundle. 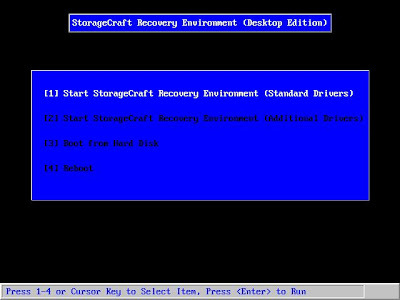 Also, there is an excellent text one can get on the Winternals portion of the Desktop Optimization Pack: Winternals: Defragmentation, Recovery, and Administration Field Guide. It can be had from your favourite bookseller. Microsoft Desktop Optimization Pack site. UPDATE 2007-07-19: My eyes must be crossed. It is the Winternals Administrator's Pak (No "C"). We have a really insane storm going on outside right now. Lots of lightning with the thunder literally shaking the building. We have been having unusually hot weather here, and that has lead to some really neat storms. So, what happens when the power goes out? Have you tested your UPS setup to see if the "shutdown the server" after so many minutes actually gives the SBS box time to shutdown properly? We all may know that if we don't stop the Exchange services before a reboot, that reboot can take a long time. Especially on the older SBS installs and hardware boxes. The same goes for the shutdown sequence initiated by the UPS software. An improper SBS shutdown can have unpredictable consequences. Once the power comes back up, is the server's BIOS setting changed from "Last State" or "Power Off" to "Power On"? If that setting has not been changed to power the server back up after the power outage, someone will need physical access to the box or we are on our way down to the client's location to power it up and make sure that everything comes up normally. 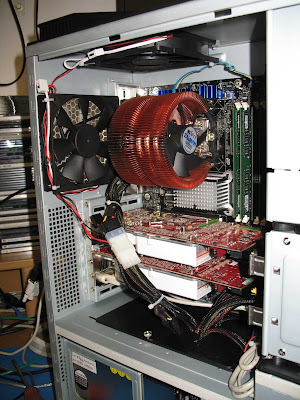 2U SUA1500 VA: Dual Xeon 51xx 5U Series + 6-10 drives: ~9-14 minutes. Those numbers are on the somewhat conservative side as server power consumption, therefore run time, can vary by the time of day when the power outage happens. We typically install a separate 700-1500 VA UPS for the ADSL/Cable modem, router if there, and other network infrastructure leaving a dedicated UPS to each server. Power backup solutions vary by client and their needs. Always be aware of how much revenue a client looses for each hour of downtime! For some of our larger engineering, architectural, and accountant firm clients the cost of downtime can be in the thousands of dollars per hour range. This is a great opportunity to generate some billable time with your clients. Also, having an inventory/audit of the client's infrastructure will provide a quick method to run through and see who has what UPS installed where and how old they are. Give the client a call about the need to test the UPS infrastructure, and pop in when the time is convenient for the client and start pulling those UPS plugs. A short battery life is essentially a dead battery. It is then time to replace the battery if the UPS is younger than 2-3 years or replace the UPS if it is older than 2-3 years. WikipediA for UPS: Uninterruptible Power Supply. 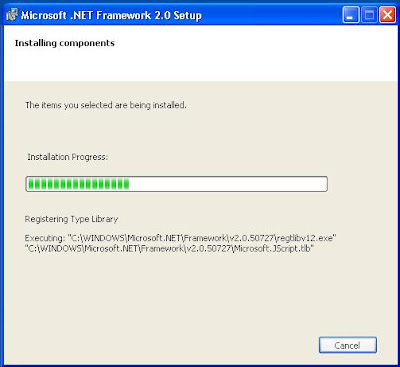 We are in the process of fine tuning some GP setups for Remote Desktops based on Windows Vista Business. We set the GP setting for remote shutdowns to only be allowed by Domain Admins. 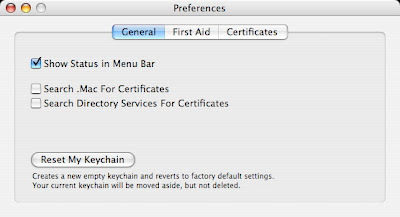 This setting was placed in a domain level linked GPO we create for the non-SBS specific security settings called: Default Domain Security Policy. See that little red button on the bottom right hand side? They should not be seeing that. By clicking on it, they can shutdown the VM, the actual Remote Desktop server if it is a 1U dedicated box, or their local workstation. Windows XP does not show a shutdown option at all. So, since we have a Vista dedicated policy on SBS now, and any machine based on Windows Vista should not be able to be shut down remotely, we will enable that setting. When working on GP settings that are specific to Windows Vista, most changes must be done from a Vista based workstation. One must logon to the workstation as domain admin, open GPMC.msc from the search bar or Run command, and navigate through to the settings that need to be changed. 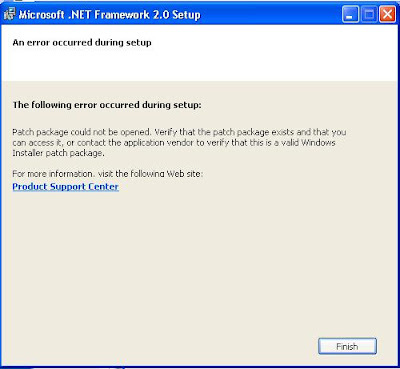 You have selected a link to a Group Policy Object (GPO). Except for changes to link properties, changes you make here are global to the GPO, and will impact all other locations where this GPO is linked. In other words, any changes made to the GPO will be implemented at the Domain level. And now, we run into a bit of a problem. Run GPEdit.msc on the local Visa machine, and there it is! 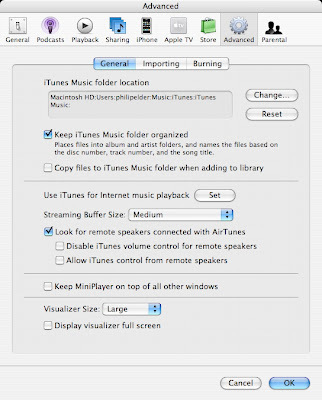 The setting is implemented to not allow anyone to shut the system down remotely. But, the little red button is still there and the user can still run the shutdown command from within the command prompt. There is an explanation, whether we are missing a Vista specific GP setting elsewhere, or it is an actual GP related bug in Vista. The Windows XP machines and VMs picked up the settings with no problems. The puzzling thing is that we can move the user out of the local admin group into the RD Users group and they can still shut the system down! That is a real predicament as they no longer have admin rights! 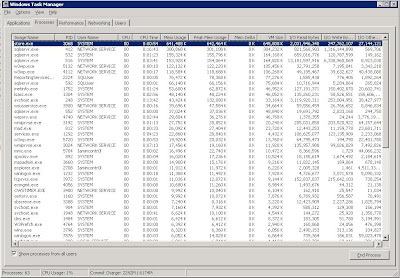 We all get to know the temperaments of our client's servers as we monitor their reports on a daily basis. 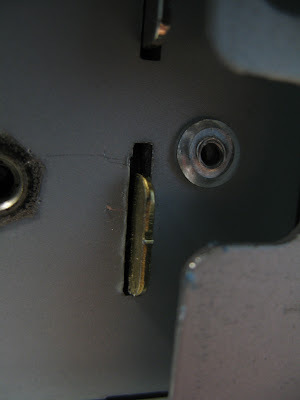 We get to know which ones sit behind shoddy Internet connections as there are a number of POP3 Connector errors on a regular basis. We can see security warnings, audit warnings and the like. However, there are a couple of key ways we can further get to know our SBS boxes and their peculiarities. Keeping an eye on things as they are happening is a good way to get a deeper feel for how the various components of the server operate. Another "at a glance" tool is BGInfo by SysInternals. The above is one of the first things seen when logging on to the SBS box before the Server Management Console comes up. An .ini file for BGInfo can be stored somewhere on the network and used to provide all of the servers on the network with the same settings. This provides a convenient way for us to see the same info on all of the servers. Disable the "Remove Windows Security item from the Start menu" GP setting. 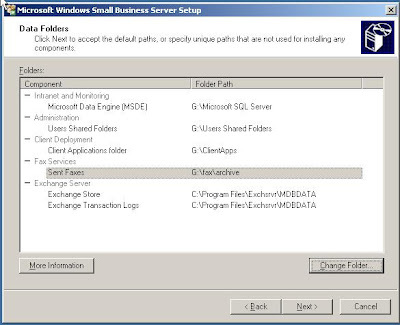 Make the change in the SBS Client Computer GPO. This makes sure that the "Windows Security" option is available on the Start Menu. 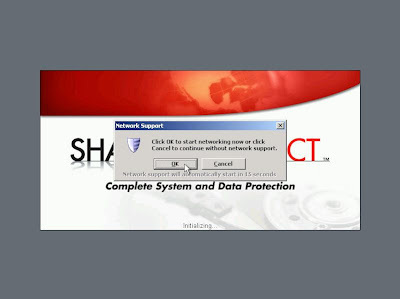 When it is there, one can train those who use the Remote Desktop servers or connect to their workstations at the office to lock their Remote Desktop session when they need to walk away from it for a couple of minutes. It does not matter where that user is, they must lock that system before walking away. We just received our Office Standard 2004 for Mac via Open Value licensing. Integration with pre-2007 version documents and spreadsheets are seamless. Opening and modifying between the PC and Mac versions works well. I am hoping that the Office for Mac version that is supposed to be shipping sometime later this year or early next year will share the same XML basis for its files as the current Office 2007 for PC. This will make working with files between Mac and PC that much simpler. Given that the PC Office 2003 and Mac Office 2004 versions work well together, I am trusting that we will see the same happen between the PC Office 2007 and Mac Office 2008. Entourage, the Mac somewhat equivalent to Outlook e-mail client works somewhat okay integrated into our SBS based Exchange environment. It picks up the Inbox setup with the huge number of nested folders as well as the Calendar with the nested Calendars too. Because of the timeline between now and when the new Office for Mac 2008 will be released, we may end up with a Parallels based Vista installation running the appropriate Windows based applications in Coherence mode. I do believe that Parallels Coherence may be the single reason why Microsoft reversed their virtualization licensing intentions for Windows Vista Home editions. About 5 months ago, Microsoft announced that they were considering allowing us to run virtually any version of Vista in a virtualized environment. Well, that was probably based on the assumption that the Mac user would be flipping back and forth between the Mac and Windows environment. In reality though, this is not the case. 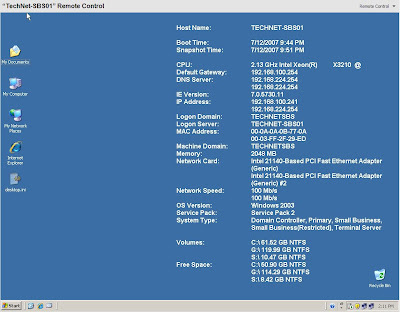 Parallels Coherence is a feature that is identical to one of the new Server 2008 Terminal Services features (was originally SoftGrid on TS 2003): The ability to have an icon on the desktop that a user can click on and "run" an application. In reality, much like a Remote Desktop connection, all they are seeing is a "picture" of the application running. Everything is actually being done on the terminal server somewhere else. 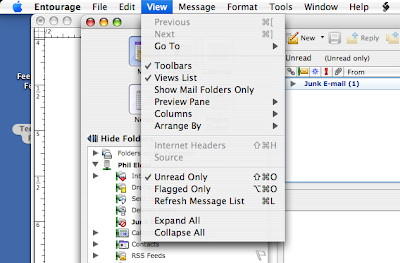 So, the user clicks on the Outlook 2007 icon on their desktop, and up comes "Outlook 2007" seemingly running on Mac's OS X. The user is oblivious to the fact that nested somewhere on their Mac is a Vista environment with Office 2007 actually installed in it! With the Windows Vista environment unseen like that, the writing is on the wall as far as Joe User thinking that they are now running Office 2007 on their Mac. Thus, we hear recently that Microsoft did an about face on Windows Vista virtualization: Only Vista Business and Ultimate can be virtualized. On ZDNet: Microsoft flip-flops on Vista virtualization. Mentions the software vendor Parallels specifically. We downloaded the trial version of Parallels and installed a trial version of Vista Business on it. 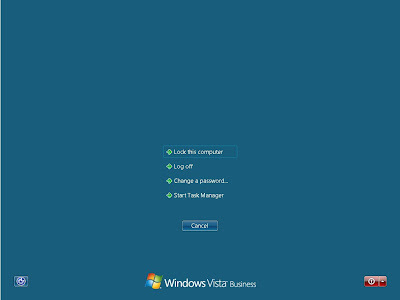 Next up is adding the Virtualized Vista to our SBS domain with the Office 2007 following. From there we will start playing with Coherence. It is definitely something to look forward to!